I spent the evening with my oldest daughter at the One Direction concert at Ohio Stadium. Imagine a stadium full of screaming tweens, teens, and adults. It was LOUD! The energy was fun and we were up dancing the entire show! Have you seen any great concerts lately? While on our vacation through Michigan, we shopped many boutiques. I was on the lookout for pieces that could work now through Fall. 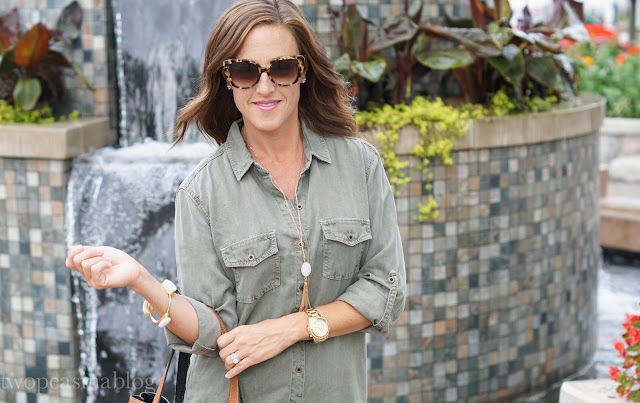 This olive utility dress was a great find! There is a very similar dress at Nordstrom. I debated posting this as it's similar to the dress Betsy wore back in this post. But the endless options for how this shirtdress could be worn through Fall just had to be shared with you all! 1. Layer a pattern shirt underneath to give some debth. I'm picturing a striped or plaid shirt underneath. 2. Layer a lace slip underneath so that the lace peeks out along the trim. 3. Throw on a pair of open toe booties. 4. Wear a pair of knee-high boots. 5. Wear a fur vest over the dress. This vest from Chicwish is my favorite. 6. Tie a denim shirt around your waist for a casual look. 7. Wear an ever-famous blanket scarf over your shoulders and belt it at the waist. 9. Wear a pullover sweater over your shirtdress. 10. Wear it with sneakers (love) for a chic laid back look. These pictures were taken in Frankenmuth on our vacation through Michigan. It is a German resort town. There is plenty of shopping, we spent time at the pool and watersides, and enjoyed a family-style dinner with authentic german food. No trip through Frankenmuth would be complete without a stop at Bronner's. 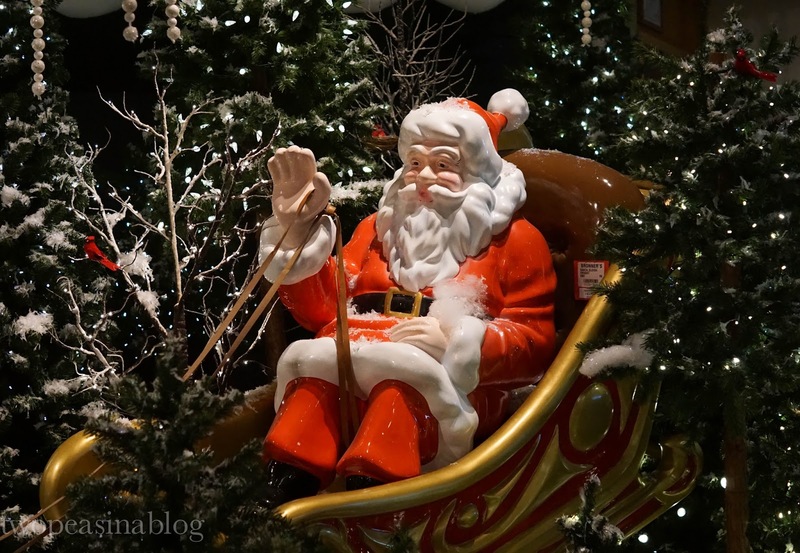 Have you heard of Bronner's Christmas Store? 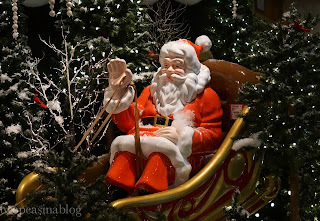 It is the world's largest Christmas store! It's HUGE! Every type of ornament and decoration can be found. You can also shop their store online. Girl, OBSESSED with your dress. The perfect transition piece into fall. Thanks so much Krista! This is actually the first shirtdress I've owned! Crazy I know! Betsy has a few and I always think they are adorable! It is seriously the most comfortable dress ever! I can't wait to style it many different ways! I need to remember these tips, all of these sound like amazing ideas for styling. I love your dress! Yes! I can't wait to give all these a try this Fall as well. Fall is my favorite! Agree! 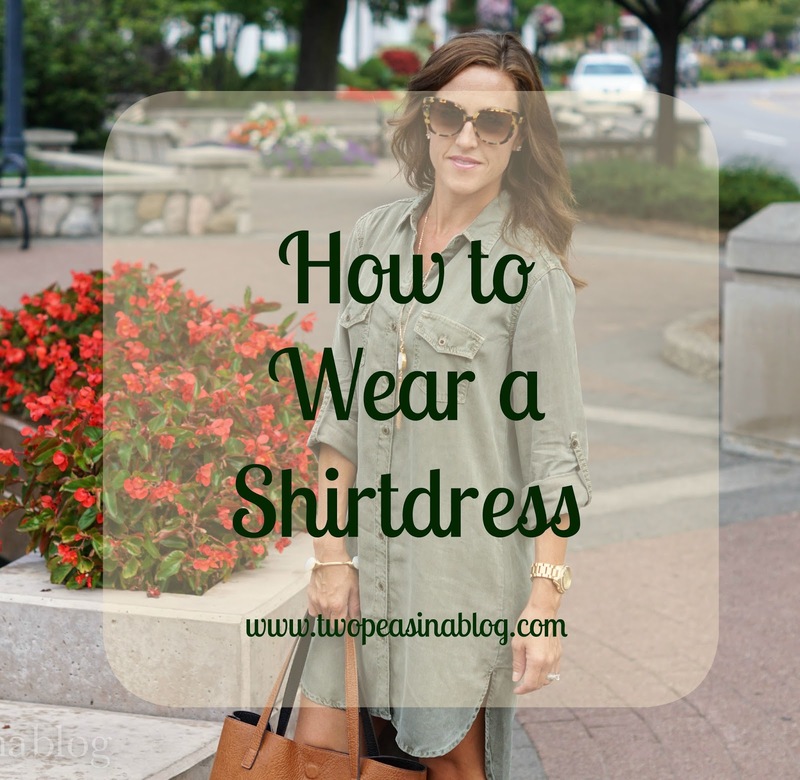 Those are two classic dress styles that are so versatile! Thanks for stopping by!! Fall is my favorite! I'm excited to start adding more fall pieces into my looks. The concert sounds like so much fun! I love this dress too,I didn't grab a fur best last year, but I can't wait to get one this year! I debated for half of the season last year on getting a fur vest. So glad I finally did! I wore it a lot!! Definately a good buy. Thanks so much! It is so comfortable and easy to wear! I just got a denim shirtdress so these tips will come in handy. Thanks! Love, love this dress and the way your styled it!! 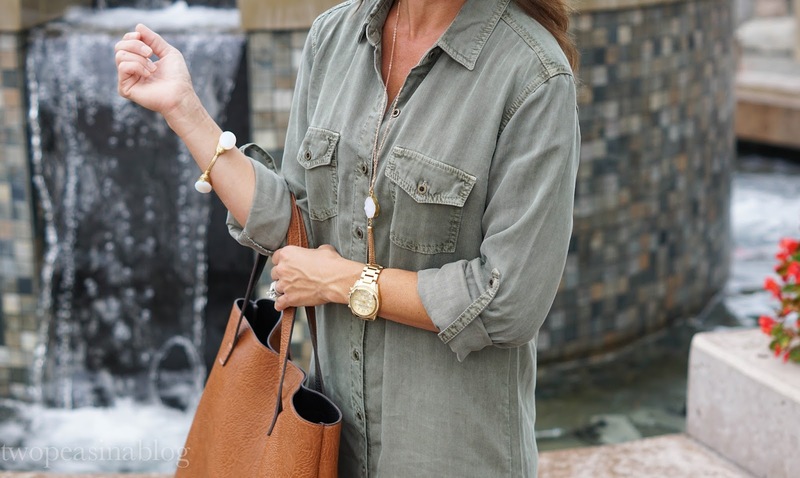 This shirt dress is fab and I love all of your ideas on how to style it!!! It will look SO cute this fall!